Heliboy is well known to the forum from about 5 years ago. He started his BHT based repair journey with me about 4 years ago. 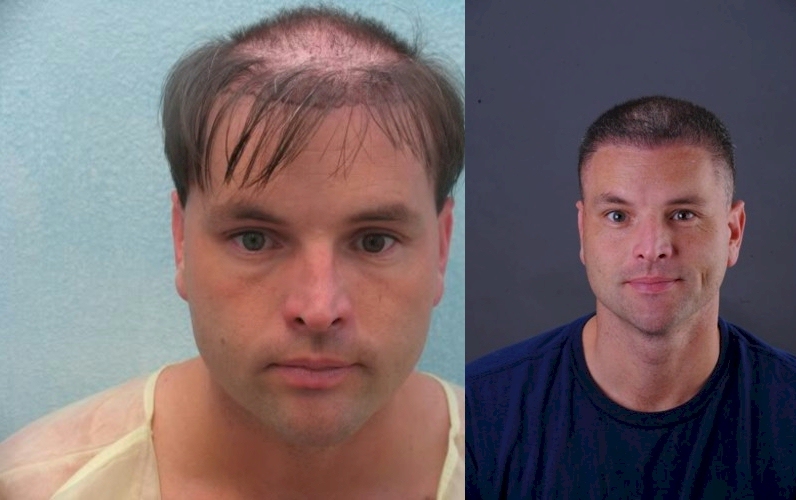 Before then he was still bald to the extent of NW6, had multiple strip scars, was head donor depleted, bad plugs, severe pitting, ridging, a hairline that cannot stand on its own etc He wore a hairpiece having lost all hope of ever relying on his own hair for coverage. all pics seems very ok (great improvement) except the last one - view from the top. 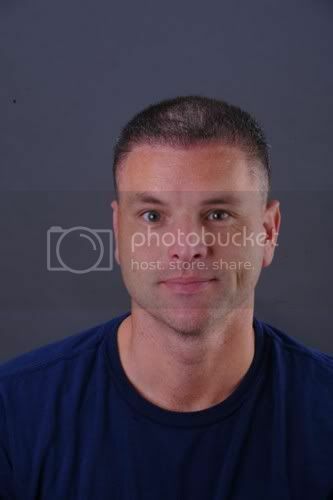 how this guy looks in real life? is view from the top in real life better than on this presented photo? maybe lightening on this photo shows him more bald or i’m wrong? I appreciate your comment on improvement from my intial days. The pics were horrible and literally depressing and bring back alot of bad memories of my past which I no longer live with . I dont post much on Hairsite these days with alot of updates as I have essentially been able to move on with life so i dont check in much. I had a professional photographer take the photos for me as to show a true consistency from various angles . As you can see there is virtually no area on my vast Norwood 6 area from the beginning 4 years that didnt have a great improvement to meet my expectations. 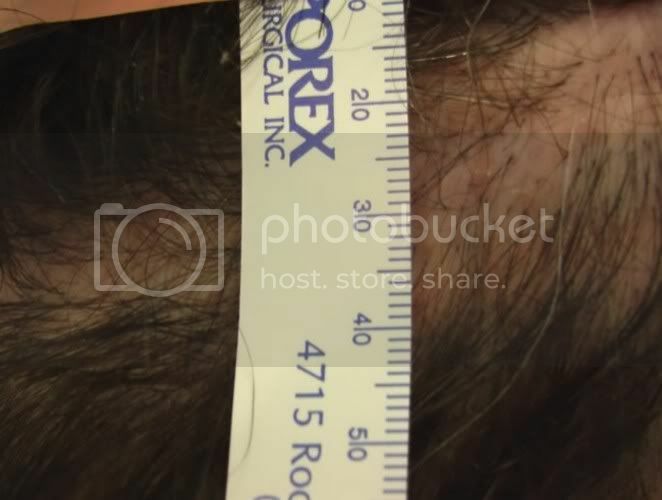 In years past I posted my goals etc when I began my Body hair transplant repair with Dr Umar but it has been a while since I posted so I want to make sure that all of the important points are covered . 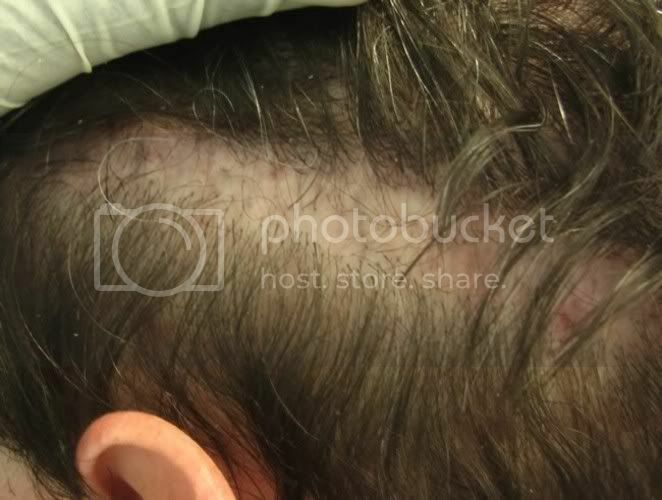 My case is one of the first to use body hair/and beard hair as the overall course of treatment for repairing the scar and other major scalp damage and I believe since that time in 2005 a great deal has been learned in terms of expectations /realistic goals from BHT. 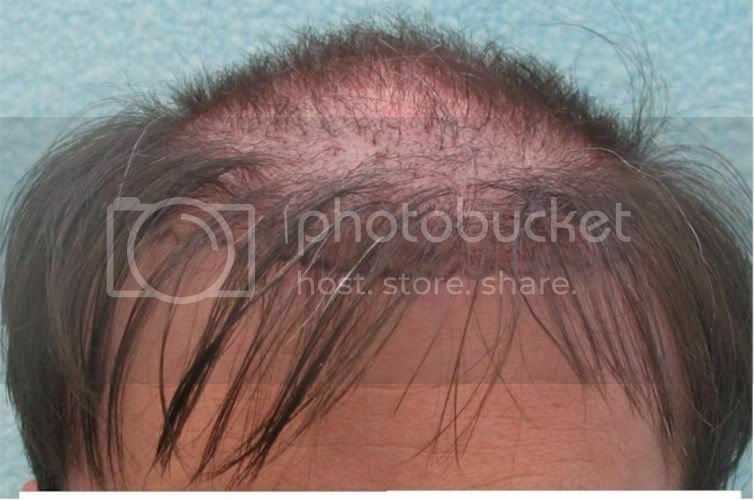 extensively over the years on Hairsite. 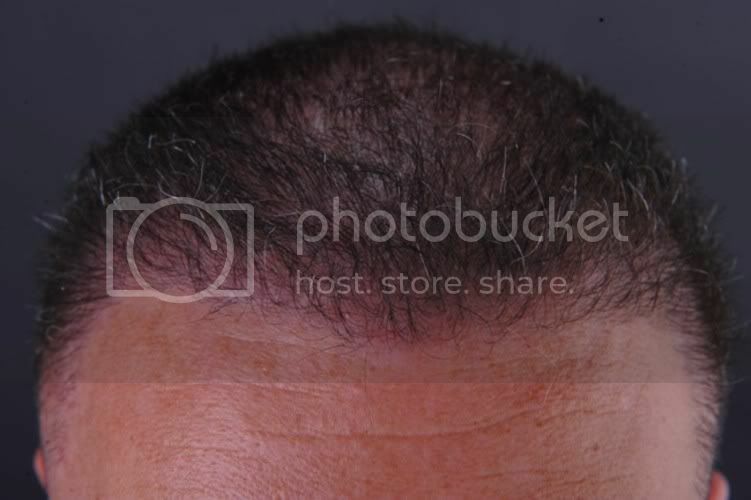 viewing of my pics the hairline/top/crown are the areas of peak interest. of those total were used in the scar. My strip scars were very extensive. I never expected my hair to be ‘thick’ from day 1 of my BHT restroation . case which i feel is excellent coverage. 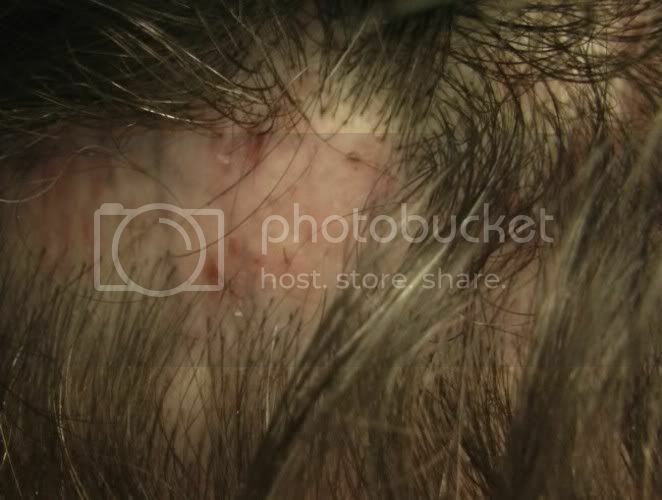 after scalp hair. This is often called the hybrid transplant). 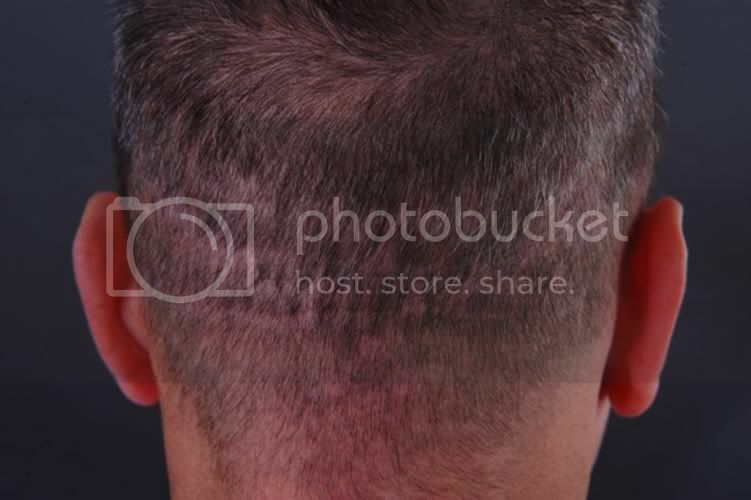 goals are often times variable than others (especially those that look at scalp hair results only. Mine was to provide sufficient coverage and repair to live my life normally and with alot of pride and self esteem. I have achieved those goals so essentially anything now as they say - is icing on the cake. Thanks to the great advancements made by Dr Umar I was proud to take the pics and show them. Over the coarse of of 2010 I will at some point fill in the small areas on the top pic that you referred with beard hair to provide a bit more density but its not an issue at all because i keep my hair cut short (usually a #3 guard on my hairclippers)and a # 1 guard on the sides/back. All I can say is that when using body hair transplants/beard hair becomes an option and not a necessity as I felt in 2005 you can be proud of your accomplishments. Thanks again for your inquiry and review of my pics. Heliboy do you find the body hair becoming softer after a couple years? 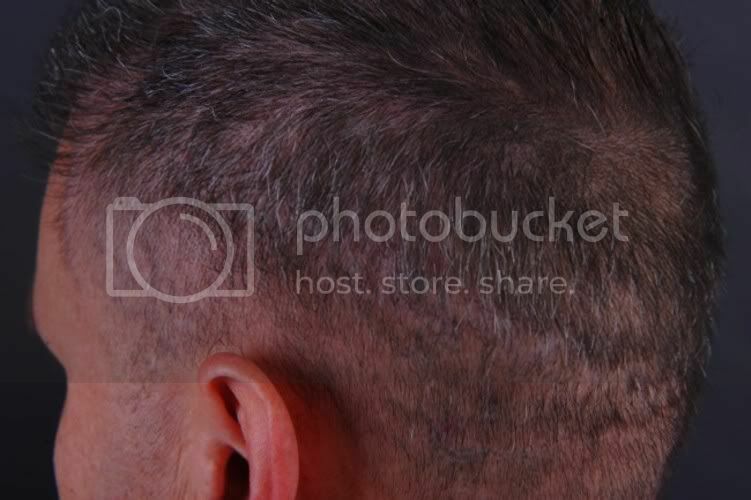 Does the texture become more like scalp hair? i have a question that is relevant to my own case. 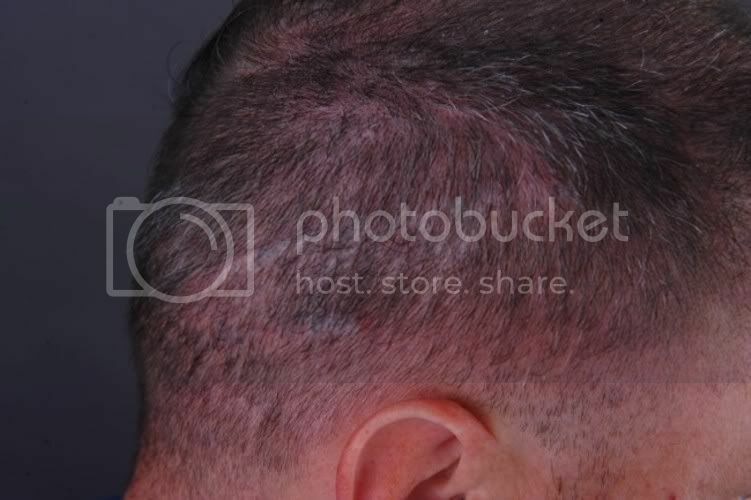 For some reason ive lost a lot of hair all over my scalp, diffuse thinning as its called. My only option seems to be bht. Id like to know about the quality of the body hair you used. Do you have a very robust and thick, fast growing body hair or more on the flimsy side? 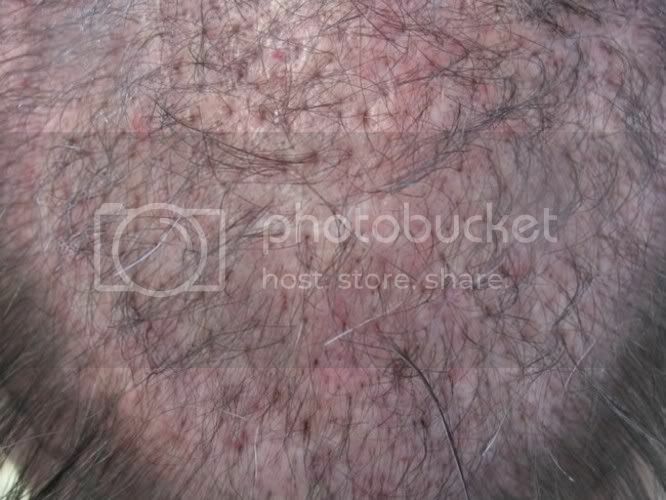 I myself have body hair that i have always hated until now, its texture is much like scalp hair, thicker then scalp hair, grows faster then scalp hair, so i am assuming i am a better candidate then most folks who opt for bht and who also have hair that can hardly be seen on their body. Also why does your hairline and your scalp in general seem so reddish and almost ‘raw’ looking as if you had your work done recently? » Heliboy do you find the body hair becoming softer after a couple years? 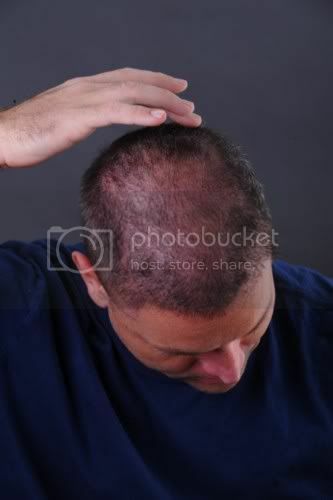 » Does the texture become more like scalp hair? (Craig= Based on my personal experience I find that body hair after 1 year of a couple of years does one thing= feel exactly like it does on the body before transplantation while on the body . I say that only because I believe prior to and during the initial phases /years of 'BHT wondering phase" years ago about how it works/does it work / etc. this is one the questions asked which was a good question that only time would answer. The rule of thumb with body hair - if you feel / see the hair on your arms it will likely look and feel that way on your scalp-. Same goes for chest /legs /back etc. 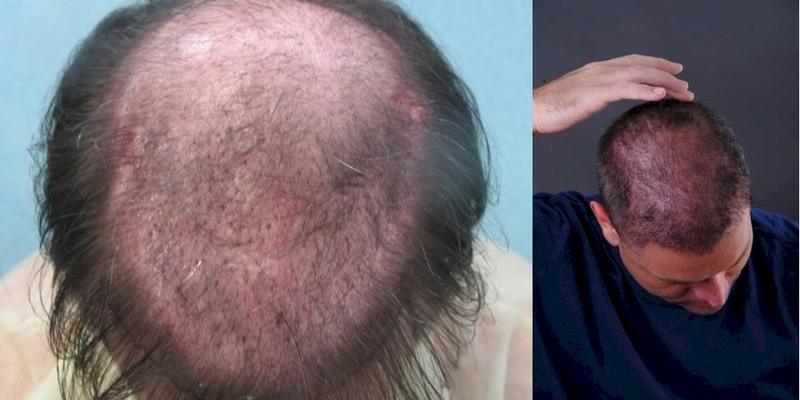 There has been some question as to whether or not body hair grows longer and becomes almost a drone of the scalp hair it replaed and make a major magic transformation - and the answer is no . That is why it is SSOOOOOOOOO important to see a physician that is truly experienced with BHT (and not just FUE). A BHT surgeon knows by analysis of your exisiting body hair what combinations will be the best fit to achieve the best result for your specific expectation. (example: #proportional chest grafts to leg grafts / or beard hair to scalp grats.) There is a true artisty to beard hair and body hair use to know what combinations will provide the most productive benefit. Again- in my opinion beard hair is now leading the BHT revolution because of its robust density and enhanced legnth in combination with other body hair donor supplies. Hope that helps you some. Good question! » hardly be seen on their body. » almost ‘raw’ looking as if you had your work done recently? (((Mr Bean- One of the first discussions made when talking with a BHT surgeon is exactly the question that you have asked. What is the quality of my body hair to meet my needs? I like to use the simple scale of (1 to 10). I was told by Dr Umar back in 2005 during our initial planning phase that my hair rated an approx 6 on the quality scale from 1-10. This is why I say that every individuals case is different because if you have a quality 9 rating your expectations can be higher. In your case you sound as if you have excellent quality hair . To give you an even better example I discuss beard hair. My beard hair quality rating is approximately a 9 to 10 much higher than my body hair. This is why I am now doing some minor finish up work with beard hair only because of the quality rating and expectations . This is why I dont like to group Body Hair and Beard Hair as one becuase the quality of the hair is often times in most completely different and each can be used strategically by the M.D for various purposes/combinations. You asked about my pics seemingly having a reddish color to them. Now that is an excellent question. If you read my previous post about being able to now move on and enjoy my life part of that was that I purchased two jet skis and 2 kayaks this past summer in June of 2009. I virtually lived outdoors and on the beach/inland waterway on the kayak until November and my scalp even with sunscreen ‘took a beating’ from the sun but i had a blast !!! Kayaking is the most relaxing outdoor activity I have ever experienced. I did get a nice tan from it but the particular day last fall before I had these pics taken I had been out in my kayak all day and got a slight sunburn on top. Despite the sunburn I told him to use natural light so the pictures were true so the ‘raw’ sunburn look showed up a bit much . So the redness wasnt from any previous procedured of any sort. As I will sometimes end my post I like to remind = those seeking BHT/beard hair work must seek reaslistic expectations and understand them. It does work in the right hands of the surgeon performing the producedure and with the right attitude of the person receiving them! Heliboy - probably stupid question but i ask anyway… are you on meds too? 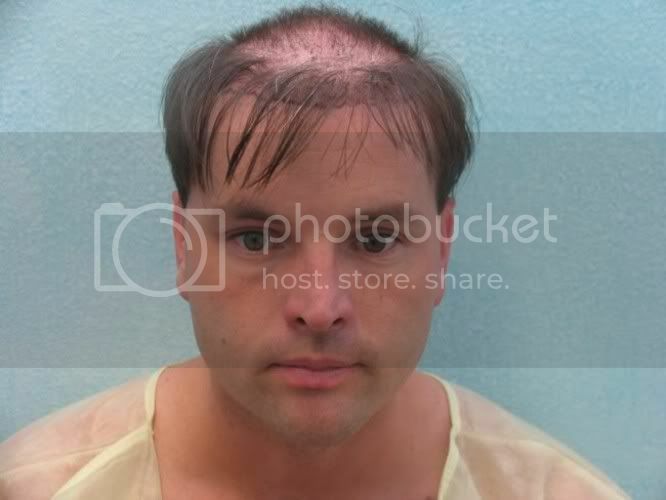 btw… i like your hairline design. hopefully i can get something similar in the future. If you read my previous post about being able to now move on and enjoy my life part of that was that I purchased two jet skis and 2 kayaks this past summer in June of 2009. I virtually lived outdoors and on the beach/inland waterway on the kayak until November and my scalp even with sunscreen ‘took a beating’ from the sun but i had a blast !!! This statement really says it all Heliboy. It looks like you have stopped worrying about your hair and are now able to enjoy life again. It’s the greatest gift a procedure can give you. I am happy for you!!! » Heliboy is well known to the forum from about 5 years ago. » ever relying on his own hair for coverage. I’m not sure why it would take more beard hair than bodyhair, other then the more robust quality and increased diameter of the beard hair over the body hair or the fact that beard hair can grow longer than body hair? Your later observation is correct, the crown whirl was that way from nature. I did not try to change what nature had created. Looking good Heliboy!!! The smile on your face really captures your present confident state of mind. It says it all. Good catch, I would never have paid attention to that had you not brought this up. BTW, who are the other 2 top docs in the US? » this up. BTW, who are the other 2 top docs in the US? Maybe it is the nature. 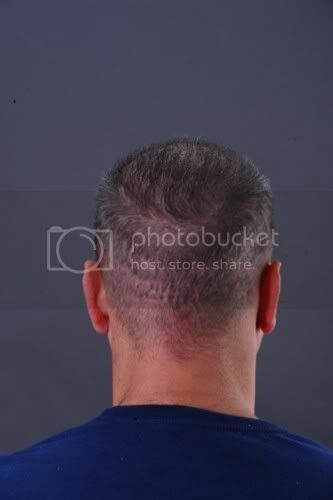 Maybe to some HT patients it becomes to look that way because patients had their heads given to HT doctors to take ‘multiple strips” ,so with every strip taken away the elastic scalp contracts puling the crown whirl more down than normal and puling the skin on the top of patients neck more up than normal.Also, the normal hairless gaps around the ears could be enlarged, sometimes to a bizarre degree. 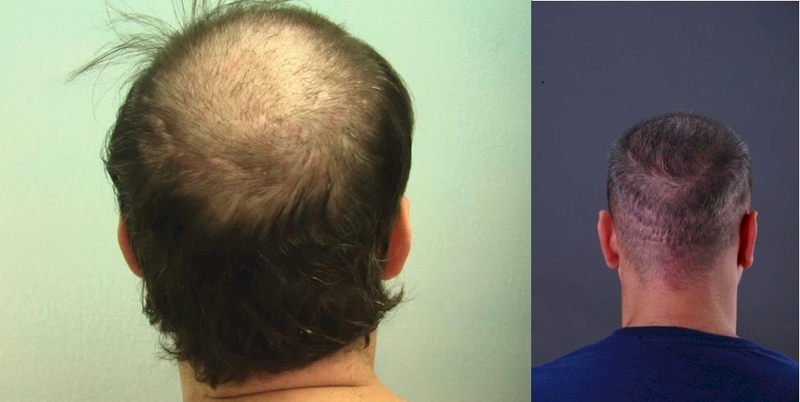 The patient’s remaining hair could often be permanently re-set at an unnatural angle…etc. It is great improvement Heliboy.I am sorry you had to suffer.Please correct me and tell me that I am wrong,if I am,when I say - IMO,Heliboy’s whirl pattern of the crown probably was NOT always " WAY too low and unnatural".It probably became that way after his HT surgeries.Best wishes. Not a stupid question at all. 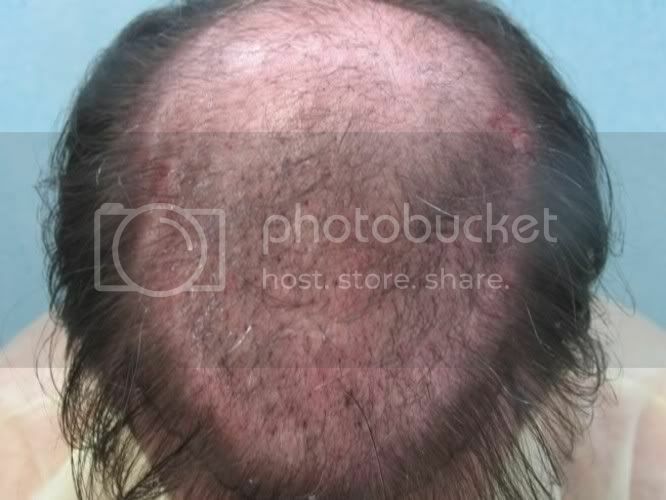 I am not taking any medications for hair loss prevention. 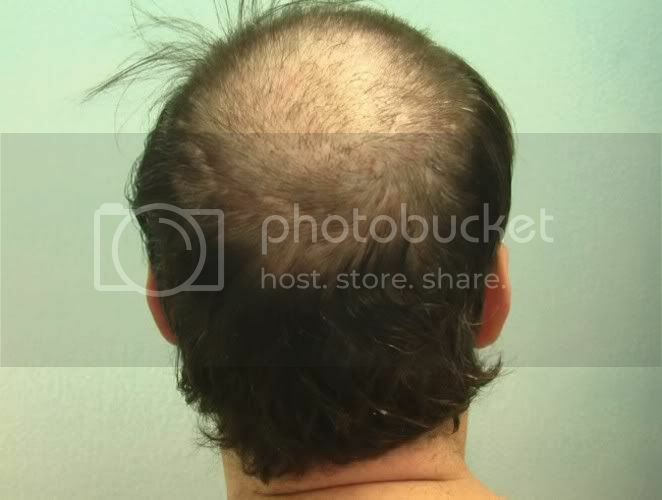 Regarding the hairline I cant even begin to tell you how much the completion affected me to stop my worries of hair loss.It was like turning off a light switch that was connected to my hair loss worries/esteem issues. 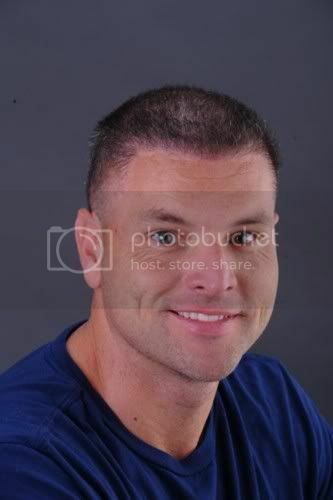 Hairline to me is the confidence builder - in my opinion - essentially because that is what you see most often day to day. Of course everything else must be in proportion as well but the hairline is crucial and Dr Umar really created an excellent hairline that works for me. 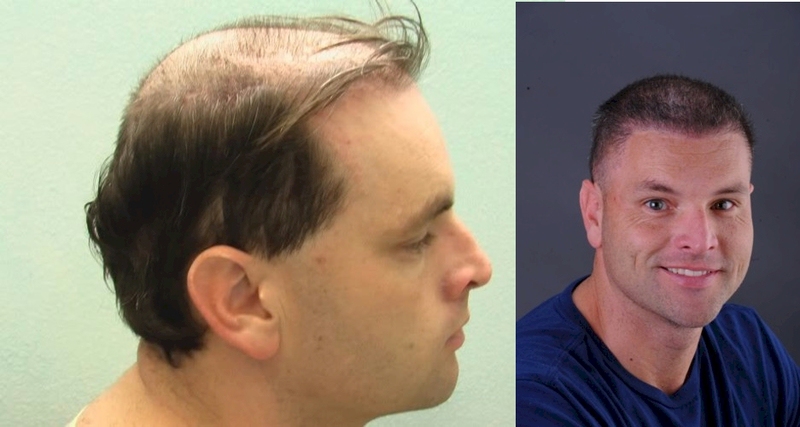 For me the temple closure and lowering of the hairline to fit my face from the beginning of my transformation work in 2005 was important .It really frames the face and removes any look of recession. The temple closure was was very important to me because I keep my hair cut very short and legnth of the hair isnt a big issue. 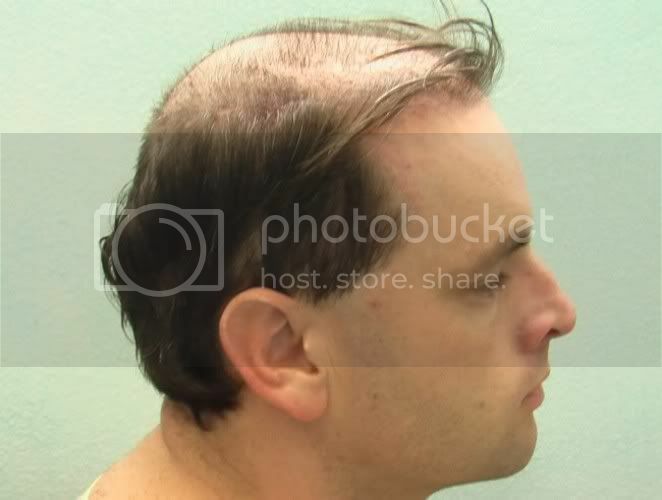 Hope you can work towards getting the hairline you want . » » this up. BTW, who are the other 2 top docs in the US? » unnatural".It probably became that way after his HT surgeries.Best wishes. Dr Umar- I havent posted in a while but remember your enthusiam over beard hair and its potential. I was watching this technololgy progress since you’ve worked on me and am wondering if beard hair would be a good donor source for fully closing off the temple point area or would it be too coarse?